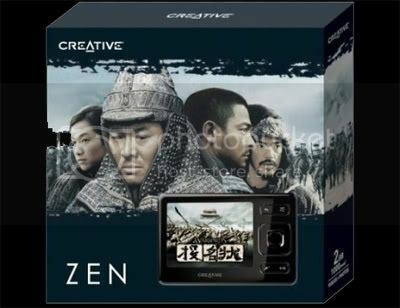 In conjunction with the release of The Warlords (starring Jet Li, Andy Lau and Takeshi Kaneshiro), Creative will introduce a limited edition 16GB ZEN "The Warlords" player. To get your hands on one of the 288 players, all you have to do is to pre-order it from the Creative's China website by 30th November and at the same time, you will also recieve a pair of gala premiere tickets for "The Warlords" in China. The ZEN player comes pre-loaded with "The Warlords" trailer, the making of and behind the scene pictures.